(NaturalSociety) When we talk about a Mediterranean diet, we aren’t talking about a “diet plan” offered through some website or book, or one that has you eating predetermined meals and measuring portions. While that may work for people, we are instead talking about the dietary habits of the people of the Mediterranean region of the world and how it could greatly impact your health. 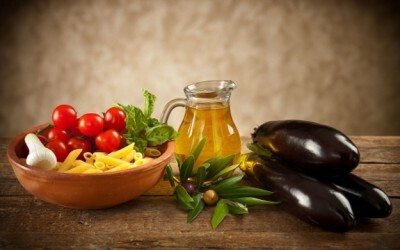 Where extra virgin olive oil flows like a river and meal times are a celebration of local, in-season produce punctuated with reasonable amounts of good red wine, this “diet” has been shown once again to have dramatic health benefits – benefits multiplied when combined with a lifestyle low in carbohydrates. According to a new study in Diabetologia, researchers have found a Mediterranean diet to reduce the risk of developing type 2 diabetes. They also found those people who eat a diet low in available carbohydrates to have a lower risk. Combined, the low carbs and Mediterranean diet are able to dramatically cut the risk of this entirely preventable disease. As reported by Medical News Today, the researchers developed a 10-point Mediterranean diet score (MDS) and another scale to measure the carbs or glycemic load (GL) of participants’ diets. They followed just under 23,000 people for over 11 years, analyzing what separated the 2,330 who got type 2 diabetes from the rest. More likely, the use of extra virgin olive oil (a monounsaturated fat) paired with the low carbohydrates are producing an effect far less taxing on the body. A diet with a high glycemic load, for instance, requires the body to continually produce insulin, potentially leading to pancreatic cell failure, which can cause insulin resistance, a risk factor for type 2 diabetes. The take-aways from this research are that eating a diet with low available carbohydrates and high in monounsaturated fats and local, healthful produce could reduce your risk for a preventable disease that currently affects more than 25.8 million Americans. The healthiest most delicious diet of foods ever. I wish there were a Mediterranean restaurants in my area. Los Angeles county in California, mostly in Burbank, Glendale and Hollywood has lots though due to immigration from countries that eat this way. And most owners do their own recipes and cooking, so homemade. I love lamb kebobs, and hummus (garbonzo beans) w/pita bread, served with fresh onions, radishes cucumbers and dips made w/cucumber too and a wide variety of rice. Dessert are sometimes platters of figs, dates, prunes, nuts and cheeses. Plus some coffee is served in demitasse cups. Fresh, strong and delicious. Mediterranean food is very, very healthy eating.